The Winchesters are indeed “psychotically, irrationally, erotically codependent.” One cannot and will not live without the other. And when we get to see that come into play, it’s always an emotional journey for the viewers. 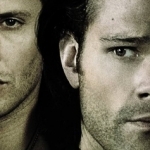 So, I know we all joke about how the Winchesters are immortal, but when that immortality is gone it’s very frightening. Death had always let them come back because he had a special interest in the Winchesters, but no more of that. The Reapers are running the show now, and they are determined to finish the job. When a Winchester dies, they are supposed to stay dead. As soon as Sam got shot I remembered Billie’s warning. Next time they die, it’s for real and there’s no coming back. And I thought it was the end. Death by gunshot wound. But, no, the show’s going to play at our emotions before wrecking us. Even though Sam survived for a bit longer, with the help of his brother, as their journey continued I kept repeating “Sam’s dying…Sam’s dying!” We haven’t had to confront that reality many times before, so it’s more painful when we do. Yet, it wasn’t the bleeding out from a gunshot wound that did him in. Instead, his life seemed to end at the hands of one of the victims they saved. Corbin had an impossible choice to make. 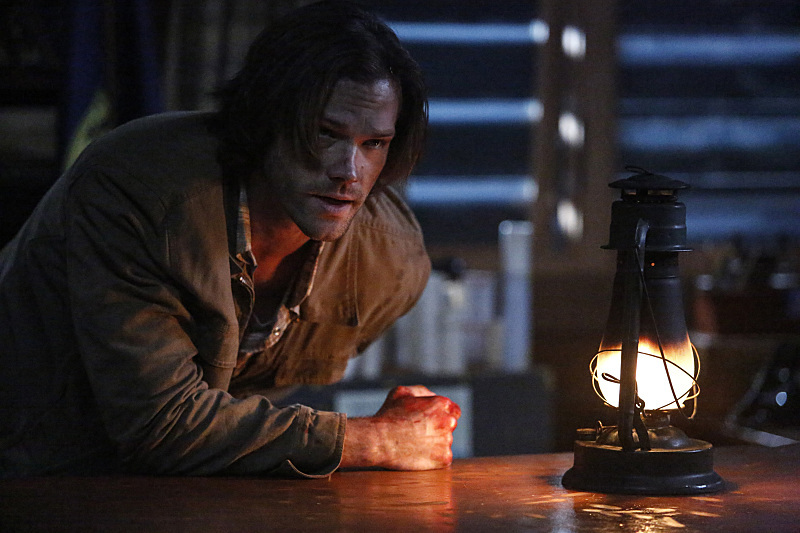 Should he sacrifice the life of someone who saved him and his wife, still a stranger to him, or instead sacrifice the potential safety of them all as Sam slowed them down? So, he chose who he loved over who he didn’t know, and smothered Sam. My heart was breaking as Dean started crying. Honestly, when Dean wanted to wait it out with Sam’s body, I knew he was suicidal. And then when he promised Sam he’d come back for him, I was expecting him to come back and use his gun to join Sam on the other side. 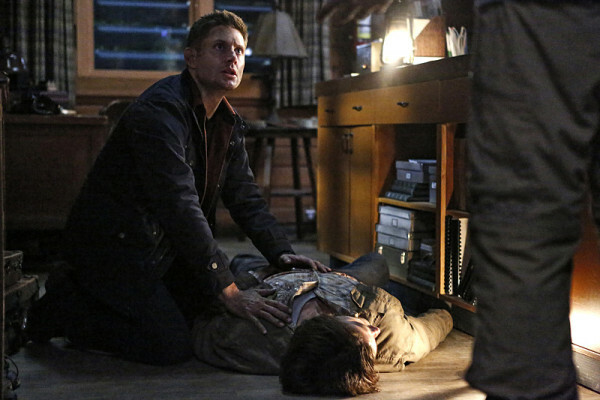 Dean cannot live without Sam, physically or emotionally. He refuses to live in a world where Sam isn’t, and would gladly trade his life for Sam’s, as he has time and time again. And then Dean went and tried to sacrifice himself. Even when Billie clearly warned them that next time they wouldn’t be making it back, Dean still killed himself in hopes he could make a trade. But either he overestimated his pull or underestimated Billie’s resolve, because she’s having none of that. My yelling at the screen for Dean to not kill himself did little to change the outcome. Even though he was overcome by grief and not thinking clearly, the trade of his life for Sam’s should have waited until he got back to the cabin. At least then he could verify for 100% that Sam was dead and hadn’t gotten out of his fate in some manner. The rules of Winchester deaths have changed. It’s not about making trades and defeating death. 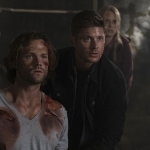 Death is dead, Dean killed him, and the Reapers are not going to continue to let the Winchesters break the rules. And along with that hanging over their heads, I worry about Dean’s mental health in general. Not only does he have Amara manipulating him, but he’s also shown that his self-sacrificial tendencies is going to get him killed one day. There’s a very dark cloud over his head. The whole werewolves storyline was so secondary to the psychological journey, and I’m okay with that. Such a mundane hunt, one they could do in their sleep, went very very wrong and made them face up to the stark reality of codependency. A good trade-off for me! 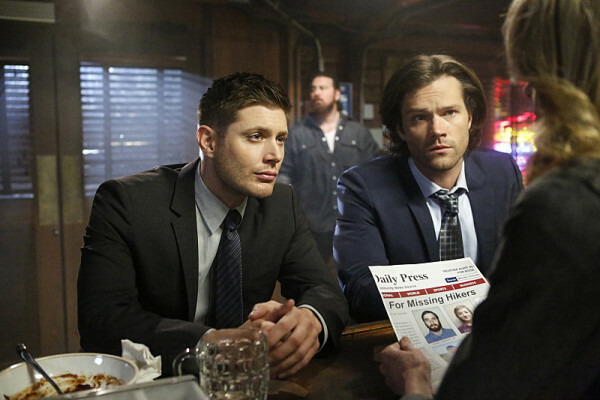 But I’m sad to see that the “being truthful, open, and honest” trend between Dean and Sam has come to its end. I guess telling your brother that you jumped right to thoughts of suicide, and then actual suicide, when you thought he was dead is a bit too far over the sharing and caring boundaries. Hopefully we won’t go back to keeping secrets and risking each others’ lives, because that never ended well for them. In the meantime, though, those boys and this show hurts me so good.